1. IT TAKES THE GUESSWORK OUT OF COOKING: With a Thermapen thermometer, you can be sure about the timing of every step and the doneness of every piece of meat you cook. A key part of the Thermapen’s popularity is its simplicity and ease of use. No buttons to use, no switches to press. Just unfold, probe and read the temperature – very accurately and very FAST! 2. YOU’LL LOVE LEARNING HOW TO USE IT: A thermometer should help you, not hinder you. How do you take the temperature of a burger without it falling apart? 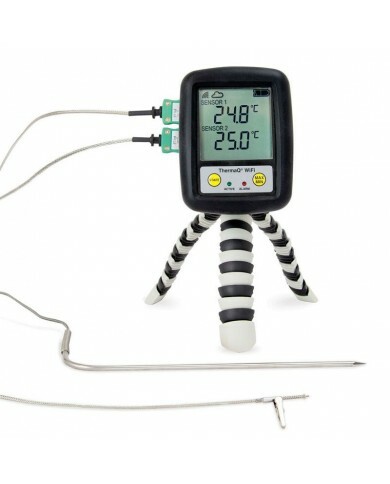 Where exactly should you stick the probe in roasted poultry for the most accurate reading? How best should you poke a loaf of bread with a thermometer without marring the crust? Our handy Thermapen Temperature Guide explains best practices on how to take the temperature of meat, poultry, and bread to know when food is done cooking. 3. YOU CAN CALIBRATE IT CORRECTLY: No thermometer, however fast it may be is no good if it isn’t calibrated correctly. You can be sure your Thermapen is accurate with this handy calibration tip from our Learning Centre. 4. TESTING LOBSTERS: The simplest way to cook a lobster is by boiling in a pan – 12-15 minutes for 0.5kg lobster to 20-25 minutes for a 1-1.5 kg lobster. You can bee sure it’s properly cooked by testing the thickest part of the tail. Insert your Thermapen into the tail and when the meat reads 80°C, it’s done. 5. BAKING CHEESECAKE: The worst thing you can do to a cheesecake is under- or over-bake it. To be sure yours stays in the sweet spot, use a Thermapen to check the cake after 90 minutes. Cook until the centre of the cheesecake hits 65.5°C—by then it should be perfectly baked, with a nut-brown surface and a soft and creamy centre. 6. KNOWING IF PORK IS SAFE TO EAT: The most juicy, tender pork is slightly pink—cooked to a safe temperature but not grey, leathery, or overcooked. Use your Thermapen to find out when cooked pork is safe to eat. When the rested meat reads 63-65.5 degrees, you’re in the clear. 7. TEMPERING CHOCOLATE: Our tempering chocolate guide ensures chocolate sets properly, so that it’s smooth and shiny with a firm texture. 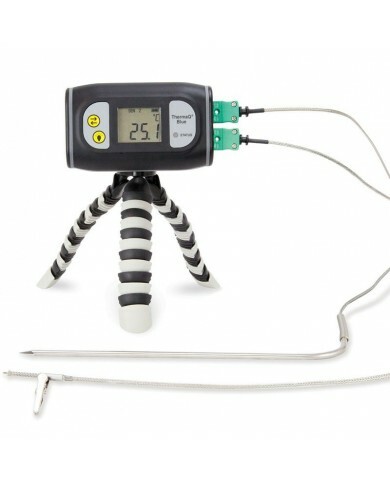 A Thermapen thermometer makes this easy, guaranteeing perfect chocolate at the end. 9. MAKING SALTED CARAMELS: Satisfy your sweet tooth (and enjoy a little bit of salt) with these delicious salted caramels. And yes, you guessed it: You’ll need a Thermapen to make them to ensure they look like they have come straight out of a chocolate shop. 10. STAYING SAFE: Reheat food without any doubt about whether it’s safe to eat or not. From casseroles to soups, meats to fish you don’t have to hazard a guess when you’ve got a Thermapen thermometer to help you avoid the bacterial “danger zone“. Learn more from the Thermapen Hints & Tips section on this site or visit the ETI Learning Centre on our main thermometer.co.uk web site.